During Lobo’s assault in episode 1: "Happy New Year", the "Main Man" presses a button on his belt which says “translating Interlac”. Interlac is a universal language used by alien lifeforms in the DC Universe. It was first introduced in Adventure Comics #379, and a full alphabet reference for it was published in Legion of Super-Heroes #312. Thanks to Lobo’s translator, viewers who don’t own the aforementioned comics were still able to understand the intergalactic bounty hunter. 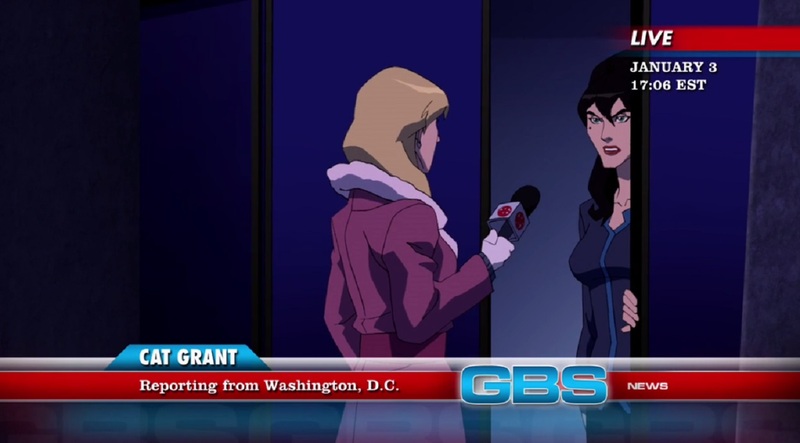 While attempting to interview the newest Justice League members in episode 1: "Happy New Year", Cat Grant is dismissed by the League’s public affairs officer Catherine Cobert. DC readers may remember Catherine as the League’s United Nations liaison from the Justice League International comic series. It looks like Catherine is always available to protect the League’s best interests, whether it’s in comics or animation. Episode 3: "Alienated" offers us a glimpse of the Justice League trophy room. 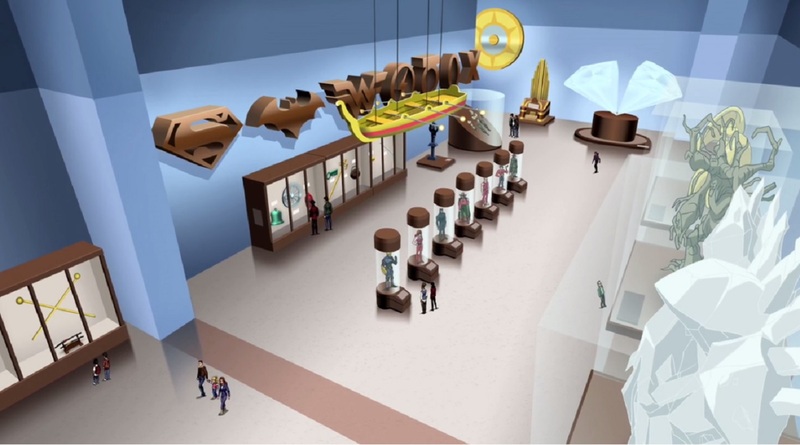 The display cases feature Easter eggs from classic Justice League comics. Among them are the Gamma Gong, (from Justice League of America #3), the Star Diamond (from Justice League of America #4), the Wheel of Misfortune (from Justice League of America #6), the Red Jar of Calythos (from Justice League of America #10), Doctor Light’s projector ray (from Justice League of America #12), the Key Gun (from Justice League of America #41), and Libra’s staff (from Justice League of America #111). If you’re an old school Justice League fan, prepare to hit your pause button! While investigating mysterious readings from Bialya in episode 5: "Beneath", the team finds themselves up against Psimon, Shimmer, Mammoth, Icicle Jr., and Devastation. While the show doesn’t give this villainous grouping a name, it seems to be an homage to the Fearsome Five – a team that, in many incarnations, Psimon, Mammoth and Shimmer have served as members of. 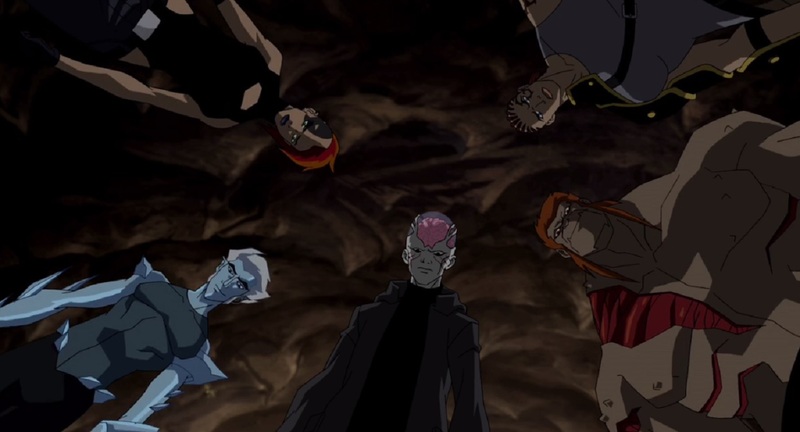 Although membership has rotated over the years, the group has remained a constant threat to the Teen Titans and the Outsiders. When Bart Allen excitedly crashes the Garrick’s anniversary party in episode 6: "Bloodlines", he greets Iris’s pregnant belly by saying “Hi Dad, hi Aunt Dawn." In the comics, Bart’s father Don Allen, along with his sister Dawn, inherited the powers of their father and became allies to the Legion of Super-Heroes as the Tornado Twins. Although they were tragically killed in battle, their legacy lives in on via Impulse – which may or may not be a good thing depending on who you ask! Also in this episode, Flash directs people to a shelter located on Fox and Gardner. This is a reference to Gardner Fox, the DC Comics writer who co-created Jay Garrick, the first Flash! A few members of the team take a quiet moment to reflect on their lost friends in episode 8: "Satisfaction". 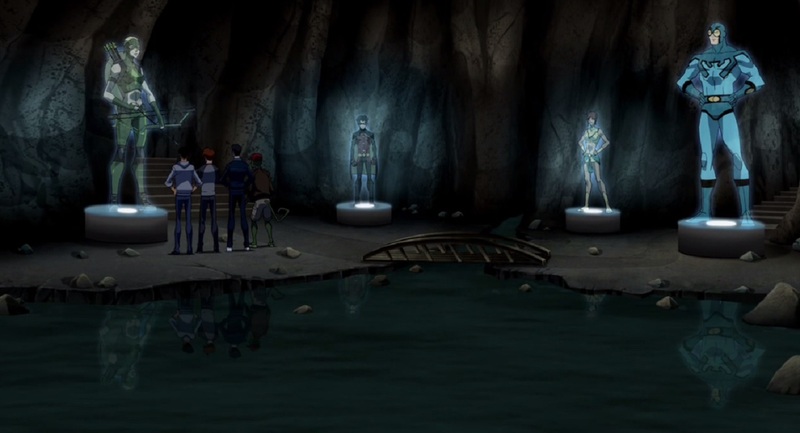 To the right of Artemis’s memorial is Jason Todd, who was the second boy to hold the Robin identity. Jason was killed by the Joker in the classic storyline “Death in the Family”. To the right of Jason is Tula, whom we met in season 1's episode 8: "Downtime". Tula, while operating as Aquagirl, lost her life in the 1984-1985 comic book event “Crisis on Infinite Earths." Ted Kord, who was the Blue Beetle before Jaime Reyes, was shot by Maxwell Lord in the Countdown to Infinite Crisis series. 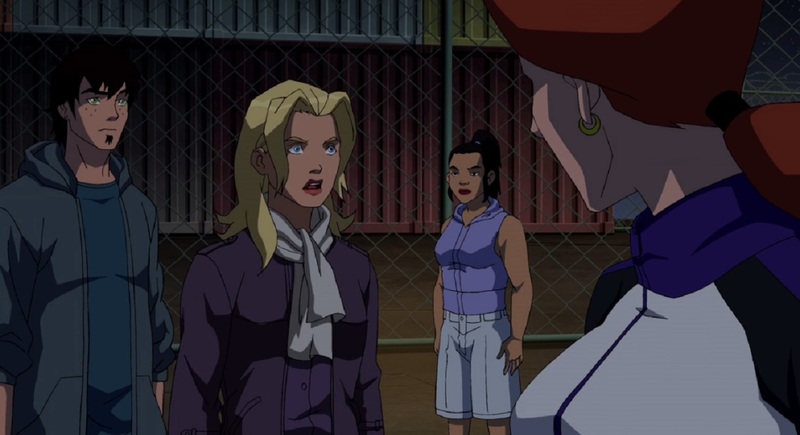 While rescuing a group of teenagers in episode 10: "Before The Dawn", Tim Drake and Barbara Gordon meet a girl whose destiny is closely tied to theirs in the comics. Stephanie Brown became the costumed vigilante Spoiler as a way of rebelling against her villainous father, the Cluemaster. She fell hard for Tim Drake, and wound up having a whirlwind romance with him. Stephanie was also trained by Barbara Gordon, and even had her own tenure as Batgirl. The purple colors she wears in the episode are an homage to her Spoiler costume. It appears that we might be seeing more of Stephanie in Young Justice: Outsiders, so keep your eyes open! This scene also contains another Easter egg -- the docks at which the teens are being held are reused from the animated movie Batman: Under The Red Hood (watch Under the Red Hood here). 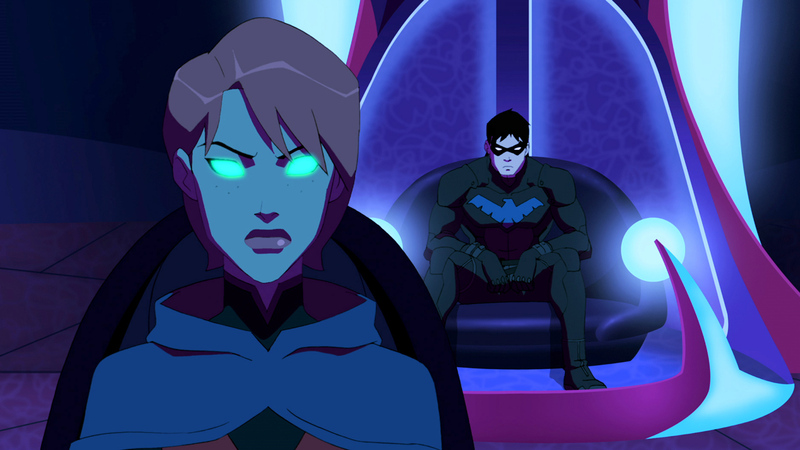 The movie was directed by Young Justice producer Brandon Vietti. 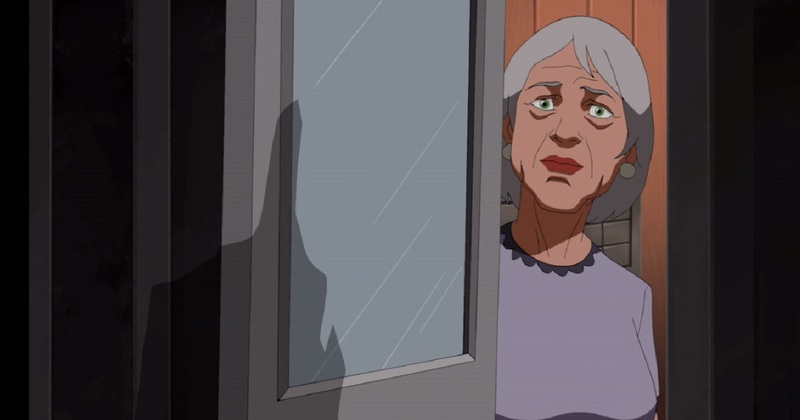 When Megan disguises herself as John Jones (the Martian Manhunter’s human alias) in episode 11: "Cornered", she runs into a neighbor of John's named Ida Berkowitz. In the comics, Ida was the landlady to a different alien – Supergirl! Ida’s comic-book counterpart was a Holocaust survivor, who thought she lost her daughter in a concentration camp. Poor Ida was horrified to learn that her daughter survived and became leader of a Neo-Nazi group in Chicago. Let’s hope the animated version of Ida doesn’t have to face these challenges. This is just a small sample of the many Easter eggs Young Justice: Invasion has to offer. Each episode contains dozens more, and finding them is one of the most enjoyable parts of watching Young Justice. Why not watch or rewatch the show and see how many you can catch? It’s a great way to prepare yourself for Young Justice: Outsiders, premiering on DC Universe on January 4th. 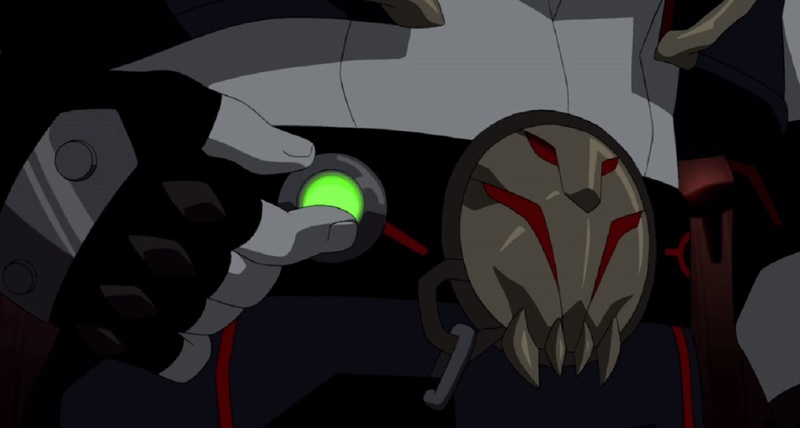 What are your favorite moments from Young Justice: Invasion? Did any of the other comic book references stand out to you? Let us know in our Community!